It is the first night of Hanukkah. Hershel of Ostropol is walking down the road. Tired and hungry, he is looking forward to reaching the next village. He is sure that bright candles, merry songs, and platters of potato latkes will be waiting for him. But when he reaches the village, Hershel discovers that the villagers aren't celebrating Hanukkah. They're too scared of the goblins that haunt the old synagogue at the top of the hill. Hershel wants to help the village people. "If I can't outwit a few goblins," Hershel tells the rabbi, "then my name isn't Hershel of Ostropol." 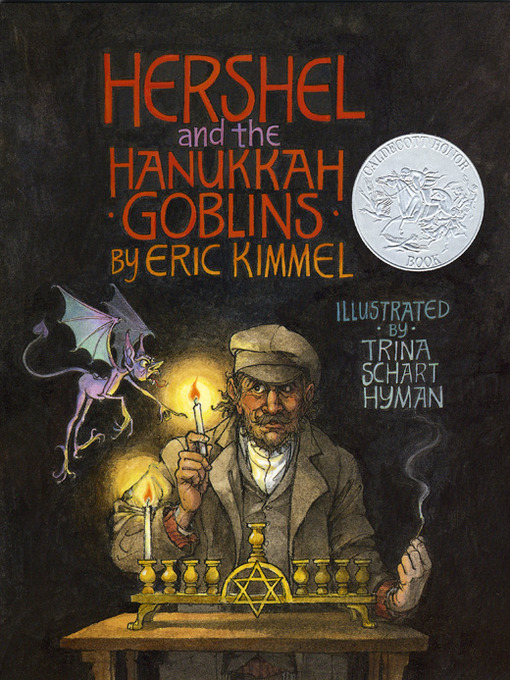 Hershel comes up with several ingenious ideas for tricking the goblins in this original Hanukkah tale.